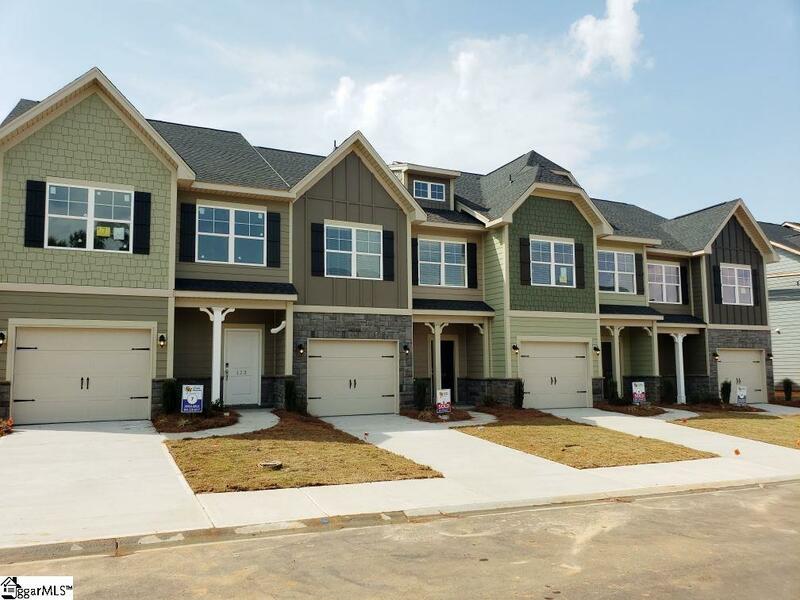 Check out one of the newest townhome, the Lancaster! Unbelievable townhome for the price! Attached garage, open kitchen with island, granite counters in the kitchen and full baths and more! Large master suite with huge walk in closet, double vanity sink, separate tub and shower in the master bath! Energy efficient home with R-50 attic insulation, radiant barrier sheathing, tankless water heater, and a smart home with smart home features! Stunning home! Low maintenance neighborhood for those on the go or just don't want to have to do much work to their home! Own for less than rent! At Grandview Townes you will enjoy a maintenance-free lifestyle with the conveniences of Simpsonville just minutes away! Start your morning with a refreshing walk or take a run along the community's beautiful walking trails. Enjoy your free time with a short 1.5 mile drive to charming Main Street to be part of the citys many festivals, events, restaurants and shops or drive just under 5 miles to the Heritage Park Amphitheater which welcomes some of the most sought after, award-winning musicians in America. Listing provided courtesy of Charlie Binns of Essex Homes Se Greenville.